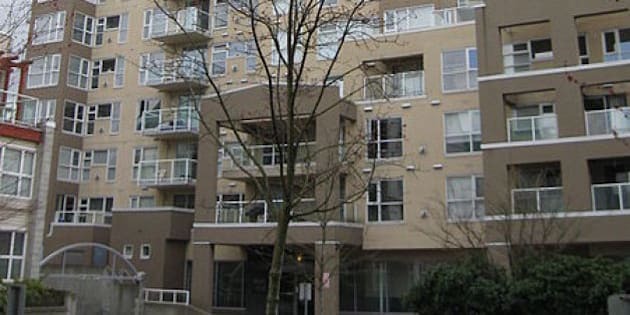 VANCOUVER - Even for gang squad veterans who had been contending with a brewing turf war in the Metro Vancouver gang scene, it must have been shocking to find the bodies of six men inside a highrise apartment in Surrey six years ago. On Monday, a B.C. Supreme Court judge is expected to begin hearing testimony in the murder trial of three men accused of those murders, in a case that has played out in newspaper headlines like the script of a Hollywood gangster flick. The "Surrey Six" murders, as they came to be known, brought guns-blazing into the public eye a simmering gang war that proceeded to play out on the streets of Vancouver. Two innocent bystanders were found dead alongside four gang members inside an apartment on the 15th floor of the Balmoral Tower on Oct. 19, 2007. Police believe Chris Mohan, 22, and Ed Schellenberg, 55, just happened to cross the path of the assassins. Mohan was a student who lived on the 14th floor with his parents. Schellenberg, a father of two, was in the building working on gas fireplaces. Inside the suite were Edward Narong, 22, Corey Lal, 21, his brother Michael Lal, 26, and Ryan Bartolomeo, 19 — all men known to police. Any complacency the public felt up until then about the brewing gang war was smashed by the murders of the two innocent people, said Rob Gordon, a criminology professor at Simon Fraser University. "What I think the particular incident did was to demonstrate to the public at large that the conflicts that were taking place between these different groups were not to be taken lightly, that there were innocent parties who were caught up in the shooting," he said in an interview. "Almost anybody in the Lower Mainland could become a victim either by being caught in the cross fire, or by being at the wrong place at the wrong time." In the months following the murders, 10 died in shootings in a gang war that continued throughout the following year. By early 2009, gunfire was an almost daily occurrence on the streets in and around Vancouver. There were 31 shootings in little more than a month, 12 of them fatal, and the federal minister of public safety declared the region Canada's gang capital. Though alarming, Gordon said the slayings followed a common pattern in the Lower Mainland over the past two decades that saw gang leaders grapple for power. "These shootings were in phases," he said. "There's a spike of activity. During that spike, there's a shooting, there's a retaliatory shooting, there's a retaliation for the retaliation, and then it seems to go quiet." At the centre of it all were a trio of brothers publicly identified by police as the leaders of a gang called the Red Scorpions. Police issued public warnings about the Bacon brothers — Jonathan, James and Jarrod — saying that they were known gang members being targeted by rivals and that associating with them could put people in harm's way. In April 2009, Jamie Bacon, Matthew Johnston, Cory Haevischer and Quang Vinh Thang (Michael) Le were arrested and charged in connection to the murders in Surrey. Another man pleaded guilty to second-degree murder for his part in the killings. A publication ban prevents the media from reporting details from that court proceeding. Jamie Bacon has been charged with first-degree murder in the death of Corey Lal, and — with Haevischer, Johnston, and Le —conspiracy to commit murder in Lal's death. Bacon is expected to go to trial separately next year. Bacon, who is currently in jail on weapons offences and awaiting trial, survived more than one attempt on his life. His brother, Jonathan, was not so lucky. He was gunned down in a gangland slaying in Kelowna in 2011. Jarrod Bacon is serving a 14-year sentence for drug trafficking. The case took another unexpected twist two years ago, when RCMP announced that four officers involved in the investigation faced 20 charges for obstruction of justice, breach of trust and fraud. An additional charge of theft under $5,000 was filed against one of the former officers in May.